Liz Salcedo was in her mid-20s, living in San Francisco and working as a social worker at various non-profits when she had the idea for the perfect purse, one that would charge her smartphone on the go. This was back in 2011, when wearable technology was hardly even a thing, much less a buzzword. Still, scores of ladies undoubtedly had the same thought Salcedo had: “Wouldn’t it be great if I could charge my phone in my purse?” But while everyone else briefly imagined the possibility before moving on with their lives, Salcedo took that crazy idea and turned it into a reality. Or, more specifically, she turned it into Everpurse, a startup that manufactures and sell purses with built-in iPhone chargers. 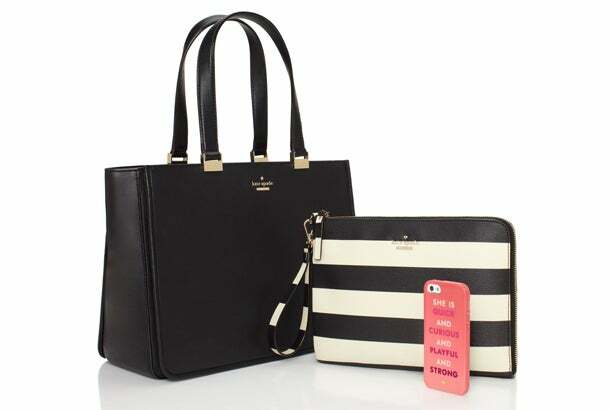 Launched in July 2011, the company got a major boost when it partnered with handbag heavyweight kate spade new york last year. What separated Salcedo from all the other girls with a similar idea but no resolve to turn it into an actual product? She thinks it may have something to do with her family -- both her father and grandfather are entrepreneurs. “The idea of starting a business is not foreign to me,” she says. In the beginning, however, the project was just a side hobby. For Salcedo, now 30, it was a way to scratch her own, personal itch. For a year, Salcedo tinkered with the prototype. Her technique was strictly DIY. To make her first mold, she ordered tiny plastic melting beads that harden when they cool. Next, she wrapped her iPhone in saran wrap and foil, covered the foil with melted prototyping beads and placed it in the freezer. Within five minutes the beads had hardened, and voila -- her first version of what would go onto become Everpurse’s proprietary charging molds. Since then, Salcedo has come a long way. In 2012, she took her concept for Everpurse to Kickstarter, where it raised almost $240,000. The first bags were made by hand but to keep up with demand, Salcedo has since found a manufacturing partner. The company’s next big break came in 2015, when the then four-person startup announced it was partnering with kate spade new york to create a line of half a dozen bags (prices range from $198 for a clutch to $698 for a leather tote purse). By now, there are other bags that charge your smartphone, such as the Mighty Purse made by HButler. But what Everpurse does differently is bring wireless, sleek technology to a fashion brand. Going forward, Everpurse sees itself as the tech enabler to the fashion industry. Handbags are just a jumping off point. “It used to be that if you didn’t go to school for engineering or business, how would you ever figure that stuff out?” says Salcedo.